Deciduous tree. 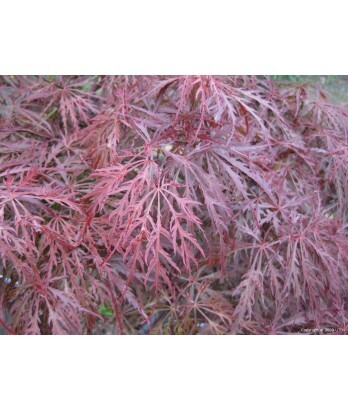 Slow growing but most vigorous of the red lace-leaf maples. Spreading, weeping form. Moderate to regular water needs in well-drained soil once established.